Deborah Baker’s latest offering, The Last Englishmen is a captivating account of India, Everest and The British Empire. While researching about India during the Second World War and the decade preceding it, biographer Deborah Baker first came across the papers of John Bicknell Auden, a geologist with the Geological Survey of India from 1926-1953. 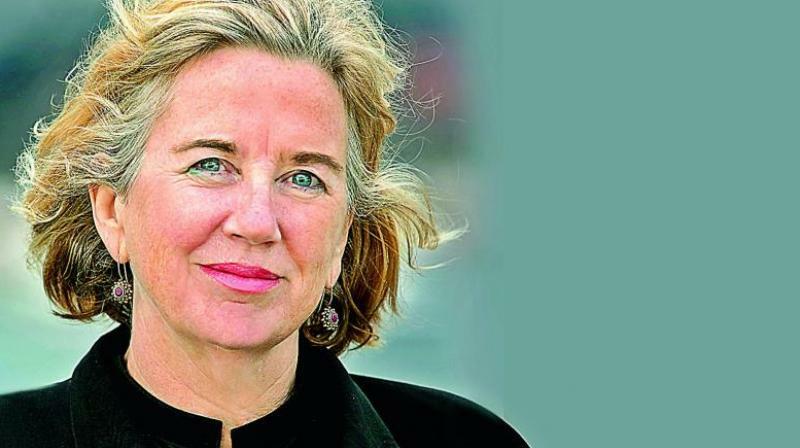 It was then that she realised she had “a cast of subjects that could carry a narrative of the war, the freedom movement, and independence.” Her latest book The Last Englishmen, is a refreshing account of the British rule’s swan song in India that shies away from training the lens on the historical events and zooms in more on individual lives. The three-parts chart the political atmosphere of mid-twentieth century India and England, but it doesn’t garland the political heroes or spark a nationalistic fervour in her retelling. What instead form the focus of the book are the unfamiliar stories of the poets, artists, nationalists, and communist spies of that era. “This is not a book about heroes, it is about a group of unusual individuals and the various ways they experienced and thought about an era of upheaval,” says Deborah. At the centre of Deborah’s book are two enterprising men — Michael Spender, the first to survey the northern approach to the summit of Mount Everest and John Auden, a pioneering geologist. While their younger brothers – W.H Auden and Stephen Spender – achieved literary fame, Michael and John vied for a place on an unsuccessful expedition to the Everest that became a metaphor for Britain’s failed efforts to maintain power over India. And she captures this pathos and desperation like a true mountaineer, “I've been an armchair explorer most of my life, reading books about intrepid explorers of the Arctic, the Amazon, the remote and mysterious places in the world. I always wanted to climb the Himalayas, with tents and ropes and fire-cooked meals. I was also desperate to get out of the archive. With this book, I could rationalize the expense of such an undertaking by treating it as part of my research” she says. Though the author had initially planned a trip with a geologist to look at the Himalayas the way John Auden had, she was met with other unexpected opportunities, “I was lucky that my guide on a trek to the pass in the Garhwal named after Auden, Emmanuel Theophilus, was both a writer and a naturalist. I learned a great deal from him. I also felt that I finally understood what drives the climbers to return to the mountains over and over again, raising the stakes higher each time. I'm longing to go back myself,” quips Deborah. It took her about eight long years to segue the themes of love, war and the end of the British empire. The first couple of years were dedicated to just reading memoirs about India in the 30s and 40s. While there have been a very few narratives focusing on Calcutta's war experience and several thousand on London's, Deborah wanted to do her bit to even the score, “In the course of my research, two works came out, Yasmin Khan's The Raj at War and Srinath Rhagavan's India's War. Both were immensely helpful as was Madhusree Mukherjee's Churchills' Secret War. But it wasn't until I came across the papers of John Auden, that I had a cast of subjects that could carry the narrative,” she narrates. 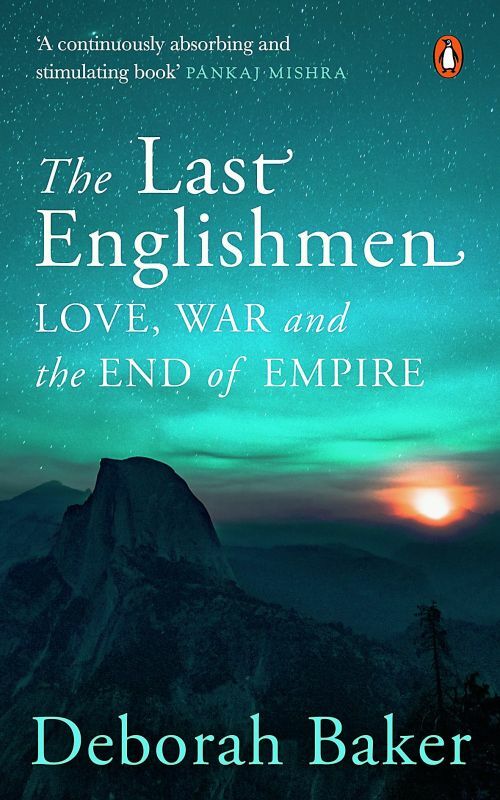 The Last Englishmen: Love, War, and the End of Empire by Deborah Baker Rs 599, pp 320 Penguin Books. The book also speaks about Calcutta through the well-read Sudhin Datta, a typical ‘Bengali Babu’ with an affinity towards European literature and utter disdain for the British Empire. But more importantly, it reminds you of the colonial hangover Kolkata is still reeling from, that perhaps forms a huge part of its charm, “I looked at a small slice of Calcutta society, a group of individuals who were members of the 'barristocracy'. Calcutta then and Kolkata today is an infinitely varied place that will, I'm afraid, remain largely inaccessible to me because I don't know Bengali or any other languages spoken there. When I first lived in the city, however, I was charmed by the way English was spoken. To my American ear, it sounded like dialogue from a Somerset Maugham novel. Even the subjects often discussed largely, had an upstairs-downstairs quality to it. It made me feel as if I was living in a different period, as if I had become a character in a novel,” recalls the Pulitzer finalist. Another thing that strikes you throughout the book, is the use of colloquial Hindi words without following them up with English translations that incite the reader at various points, but Deborah explains that it’s deliberate. “Indian readers have been reading English literature for centuries without the benefit of these translations, using their wits to figure out unfamiliar words. 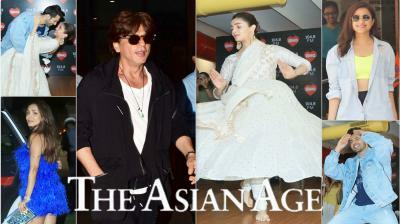 It is past time to put the shoe on the other foot,” she points out. Even as the narrative of the book paces back and forth between the history of India and England and the biographies of John Auden, Michael Spender, W.H. Auden (John’s brother), Stephen Spender (Michale’s brother) and Sudhin Datta among others, Deborah’s literary ingenuity is conspicuous as she does so without perplexing the reader. With covert reminders of who this character was or by repeating something notable about them, such as their weakness for samosas or the way they wore their hair, the author helps readers keep up to pace, “These are the tricks of a novelist but they work equally well for non-fiction,” she concludes.